Then put your wings into a bowl, and pour the flour, salt, and pepper on them. Then coat them on all sides with the flour. Then put your wings into the air fryer and cook them 12 minutes and then flip and do another 12 minutes. Meanwhile, pour the honey and BBQ sauce into a bowl, and mix together. Then when the wings are done, place them in the BBQ Sauce and Honey mixture and coat them. It won’t let me click the stars to give 5 stars. This recipe turned out amazing! 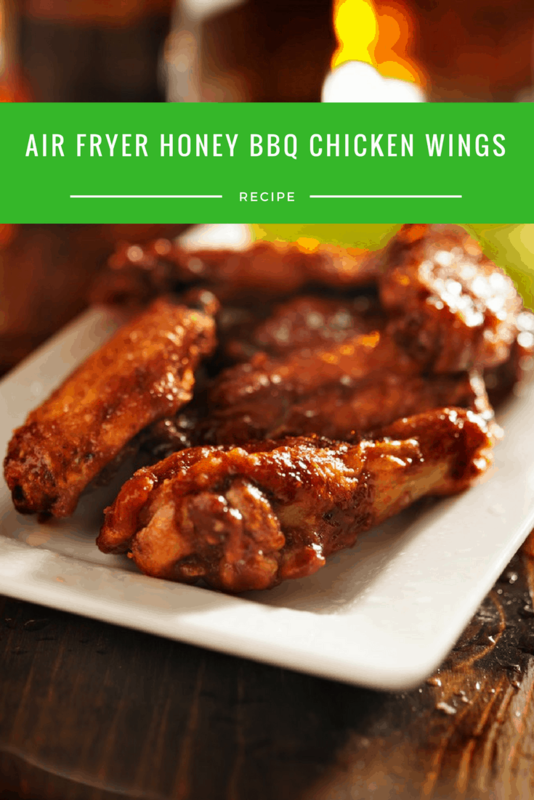 I’d never cooked chicken wings before, let alone in an air fryer, so I didnt know where to start on how to make them. I followed everything except for the sauce, I felt like that would be alot of honey. I just cooked the wings per the instructions, put them in a Tupperware container, squeezed a bunch of sweet baby rays bbq sauce on, drizzled them with honey, and put the lid on the container and shook them. They were amazing, and cooked perfectly!